There is this jingle that plays here that gets stuck in our heads. It’s an ad for Myrtle Beach, South Carolina, so it may be played nationally, I don’t know. What I do know that it plays here all the time, almost as frequently as political ads in an election year. Once it sneaks into your brain, you are lost. You will be singing it in car and the shower. Myrtle Beach is somewhere between four and five hours away from Henry County. Virginia Beach is around five hours from Henry County and the Outer Banks in North Carolina are closer to six hours, so considering a trip to Myrtle Beach is not unreasonable. We haven’t been to the beach yet but we’d like to go. The lure of the ad is strong but it looks like it has the potential to be crowded. Anyone have any recommendations for low volume yet still touristy spots? You have to understand that, when a Texan hears the words “the war for independence”, the first thing that comes to mind is the Battle of San Jacinto, the Alamo and Goliad, Santa Anna, and all that. For a Texan, “history” begins in 1836. It takes a while for it to sink in, after moving to Virginia, that history does NOT start in 1836 and there was a bigger, much more important war well before that. And so it’s understandable, when we recently took Mother down to see the Guilford Courthouse National Military Park in Greensboro, North Carolina, that she assumed that it was related to the Civil War. It took a little while of wandering through the exhibits in the Visitor Center, seeing the red uniforms and the references to Generals Washington and Cornwallis, that she said, “Oh, this is that other war.” She has a way of dramatically understating things. She was nonetheless quite impressed. The Guilford Courthouse National Military Park is impressive. There are two films in the Visitor’s Center, they have some fantastic exhibits, there is a walking tour and a driving tour to see the many monuments, tour narrations on CD and via smartphone, and there are paths throughout the park that were virtually thronged with people on a hot September afternoon. You could easily spend hours here. When I first got to Henry County, Virginia, I wondered if there had ever been any British soldiers this far inland. We are, after all, around a five hour car ride away from the coast. What would that be on horseback through dense woods? Guilford Courthouse pretty much answers that question. There were, at one time, quite a lot of them not far away at all. This battle was important to the American Revolution because, although the British won the battle, they lost so many men that it is seen as the turning point in the war. One of the monuments there is to mark the spot where Brigadier General Edward Stevens was wounded during the battle while leading the Virginia Militia. There is remarkably little on the Internet specifically about this battle apart from the Wikipedia entry. Apparently, it wasn’t even named in the movie, “The Patriot”, even though it was a pivotal battle. I know that we shouldn’t use a Hollywood film to tell us about history but some things you just don’t expect them to get wrong or misrepresent. It’s a shame, really. A little more historical accuracy could have gone a long way. A British “Red Coat” would seem pretty anachronistic at just about any event that I can think of in Texas, except for a 4th of July event. Here, Revolutionary War reenactors are a common sight at even small community festivals. I love the connection to the colonial past that pervades life here on the East Coast. It’s truly humbling for it to be pointed out that the USA was not a given; that there was ever any doubt that we, as a nation, would even exist. I’d love to learn more about this specific area’s involvement in the Revolution as well as the Revolution itself. I’ve tried various books but keep getting bogged down in high-minded minutiae about the founding fathers. My favorite history book, so far, has been “Lone Star: A History of Texas and The Texans” by T.R. Fehrenbach. 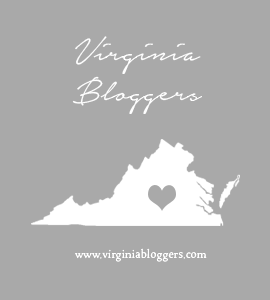 Does anyone have any suggestions for a good book (or books) on Virginia and its involvement in the American Revolution? It turned out to be a great company and not far from home (about thirty minutes). All you have to do is show up in sensible shoes. They have all the rest – the kayaks, the life preservers, the sunscreen. They even sell t-shirts. They recommend that you bring a dry change of clothes, which I thought was kind of overkill, but it is actually a really good suggestion. At least two of the rapids along the river stand a good chance of getting you wet (sort of like the flume ride at an amusement park). They make scheduled runs each day to their own private launch point up the river. We waited a short while for others to arrive but a lot of the folks on our scheduled run had, believe it or not, been held up in traffic. One of the many draws of the Dan River Company for us (I’m not sure why) was that we got all the way there on what we would call “back roads”. Apart from a tractor, traffic is just not something you expect out here. It seems this weekend was a huge annual festival, the Stokes Stomp, and the main route through Danbury, NC, had been closed for a parade. Due to the traffic snarl in Danbury, the only other kayaker on our run was a return customer with her own kayak. The driver gave us some good tips on the drive up and had a great sense of humor. He got us set up and out on the river quickly. No hassles. No muss, no fuss. The water was great. Cool and clear. Shallow. In fact, the DRC website FAQ says that ninety percent of the route is “ankle to elbow” deep. The current was swift. There were a lot of rapids. They were all Class I, but there were a lot of them. The DRC bills this as perfect for a beginner kayaker and I can see that. There is a lot more danger here of bottoming out than of capsizing in a rapid (though that can be done). There were several sandy beaches and rocky outcroppings along the route. It was nice to stop every now and again, enjoy the scenery, and get out of our life jackets. This one bend was especially pretty. It had a sandy beach on one side and a rocky cliff on the other. There were tents where some people were camped (along with “no trespassing” signs) and there were lawn chairs on the rocks. The water was deeper here and it looked like people might climb up on the rocks and jump off of them, though no one did while we were there. We loved the rapids. The route is 6.2 miles long and there are supposed to be about twenty rapids along the way. You would just barely get out of the influence of one when you would hear the next. We were on the river for about three hours when we made it back to the bend where the Dan River Company has stairs for getting back off the river. A man was there waiting for us and gave us a hand getting our kayaks up onto the shore. I was impressed by their stairs. Most places I’ve seen along the river, in my limited experience, are little more than steep grooves up an embankment. All we had to do was carry our paddles and life jackets up to the wash buckets at the top of the stairs and then we could dry off and head to the ale house. The ale house. Suddenly, that dry change of clothes they had suggested made perfect sense. Something absolutely unique and fantastic about Dan River Company is that they share a parking lot with the Green Heron Club – an ale house. In between the river and the ale house were two large, outdoor dressing rooms, his and hers, for changing into the dry clothes before going in for a pint. The Green Heron Club bills itself as a music venue with drinks, not a bar with music. In the middle of this Saturday afternoon, they were a perfect spot by the river with a very impressive choice of craft beers and the taps mounted along the wall show that they have had a history of having a great selection. What a Craft Selection at the Green Heron! The don’t serve food themselves but two of the local restaurants, Lulu’s and River Rock Cafe, will deliver to the Green Heron. Just ask up at the bar and they have the menus for both restaurants and they’ll let you use their phone to order (cell phones apparently have notoriously bad reception). One of the other patrons suggested that we order the Lulu Burger with everything on it. We were so glad that he recommended it because the Lulu Burger is not actually on the menu but was the perfect way to cap off the day. And so we sat in the Green Heron and looked out the window at the river below, ate our burgers, and enjoyed a pint. An actual heron flew by. What an absolutely perfect day! Here in Henry County, we are very close (about 3 miles, depending on where you are standing) from the North Carolina border. In fact, when I head to the Ridgeway library, I actually cross the border into North Carolina and back into Virginia on my way. Ever since we moved here, a neighbor who became a very close friend has been telling us that we had to go check out the waterfall on DeShazo Road. From what he was saying, I was picturing a smaller stream with an abandoned falling-down mill and an arduous hike but I really couldn’t have been more wrong. The falls are quite pretty. Like so many things around here, I find a larger version by the same name in another state. There is a Fall Creek Falls in Tennessee. These are not those falls. These falls are actually part of the Mayo River State Park, a new park in North Carolina. Per Wikipedia, the Mayo River State Park owns over two thousand acres along the Mayo River corridor but the current park only has trails along about 400 acres of it down near the town of Mayodan. The only access to the waterfall is along DeShazo Road, where a trailhead prevents access by ATVs with pylons across the entrance. People park alongside the road to make the short hike down to the falls. When we visited shortly after a rain, we passed two gentlemen coming up from the falls as we were entering and a lady out walking her dog coming in as we were leaving. The trail is clearly marked and mostly level until you actually get to the falls. There was no litter. The trail floor is natural earth so it probably has the potential to be muddy although it is the type of soil that is abundant here and drains well. It is a very short hike to the waterfall. I’m guessing it is about a quarter of a mile. Some people say that you can see the footings of an old mill at the top of the waterfall. For me, it is hard to distinguish stone footings from natural rocks. We felt that the channel in the foreground of the picture below might be intentionally carved by human hands but there is no way to be sure. The only bit of the trail that was difficult at all was the bit going down to the base of the falls. There were two paths – one dangerously close to the edge of a drop off and another maybe twelve feet away that was pretty steep. We did this trail before Mother had a walking stick and she was wearing open toed sandals. Even at that, she didn’t have much trouble with it, only requiring a gentle push up the hill as we were leaving. I am hoping that there will eventually be trails leading from the Mayo State River Park up to the falls but it will be a good hike, distance-wise. In the meantime, the falls are reasonably accessible and quite beautiful.